We can think of gravity as the invisible force that pulls two masses together. When we speak of mass, we're talking about the amount of matter in a substance. Density is a measure of how much mass is concentrated in a given space. Sir Isaac Newton discovered that as an object's mass increases, the gravitational attraction of that object increases. For example, a container filled with a more dense material like granite rock has more mass and thus more gravitational attraction than that same container filled with water. The Earth's Moon has considerably less mass than the Earth itself. Not only is the Moon smaller than the Earth, but it is only about 60 percent as dense as Earth. Thus, the gravitational attraction on the Moon is much less than it is here on Earth, and a person weighs less on the Moon. This weaker gravity is why we have the famous images of the Apollo astronauts taking "one giant leap for mankind" on the Moon's surface. On planet Earth, we tend to think of the gravitational effect as being the same no matter where we are on the planet. We certainly don't see variations anywhere near as dramatic as those between the Earth and the Moon. But the truth is, the Earth's topography is highly variable with mountains, valleys, plains, and deep ocean trenches. As a consequence of this variable topography, the density of Earth's surface varies. These fluctuations in density cause slight variations in the gravity field. 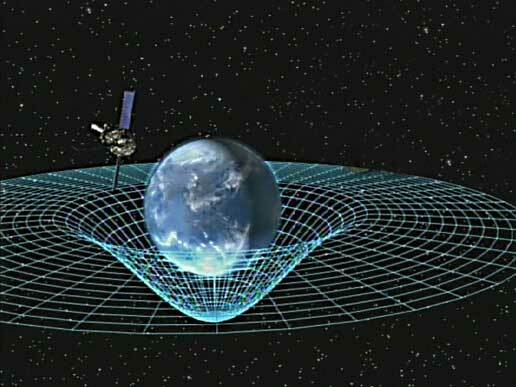 How is Gravity Measured from Space? 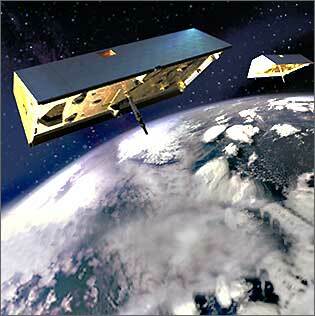 The Gravity Recovery And Climate Experiment (GRACE) was launched in 2002 to measure Earth's gravity field. The two identical GRACE satellites orbit one behind the other in the same orbital plane at approximate distance of 220 kilometers (137 miles). As the pair circles the Earth, areas of slightly stronger gravity (greater mass concentration) affect the lead satellite first, pulling it away from the trailing satellite. As the satellites continue along their orbital path, the trailing satellite is pulled toward the lead satellite as it passes over the gravity anomaly. The change in distance would certainly be imperceptible to our eyes, but an extremely precise microwave ranging system on GRACE detects these minuscule changes in the distance between the satellites. A highly accurate measuring device known as an accelerometer, located at each satellite's center of mass, measures the non-gravitational accelerations (such as those due to atmospheric drag) so that only accelerations cased by gravity are considered. Satellite Global Positioning System (GPS) receivers determine the exact position of the satellite over the Earth to within a centimeter or less. Members of the GRACE science team can download all this information from the satellites, and use it to construct monthly maps of the Earth's average gravity field during the planned five-year mission. What are the Benefits of Measuring Gravity? Although the Earth's surface is not uniform, for the most part, the variations are constant over very long time intervals. In other words, if a mountain was at a given location last month, it's probably going to be at that same location this month as well, and for all intents and purposes the mass of the mountain is unchanged. This means that the gravity influence of these larger features is pretty much the same over a very long time and is known as the mean (or long-term average) gravity field. There are other mass variations, however, that occur on much smaller time scales. These are mostly due to variations in water content as it cycles between the atmosphere, oceans, continents, glaciers, and polar ice caps. These shorter-term mass fluctuations contribute to what is known as the time-variable gravity field. 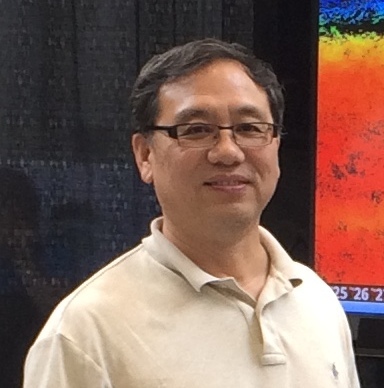 Both the mean gravity field and the monthly maps of the time-variable gravity field are useful tools for scientists as they study the Earth's changing climate. The mean gravity field helps scientists better understand the structure of the solid Earth and learn about ocean circulation. Likewise, scientists use time-variable gravity to study ground water fluctuations, sea ice, sea level rise, deep ocean currents, ocean bottom pressure, and ocean heat flux.